Exploring a Cave - Algol cautiously explores the dark, twisting passages of a sprawling cave. The automatic dungeon map keeps track of your progress. 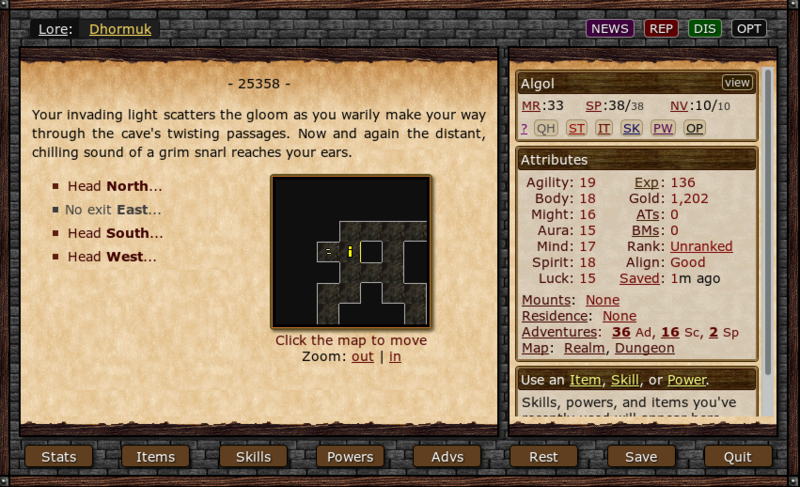 You can even navigate dungeon settings by clicking on the map.